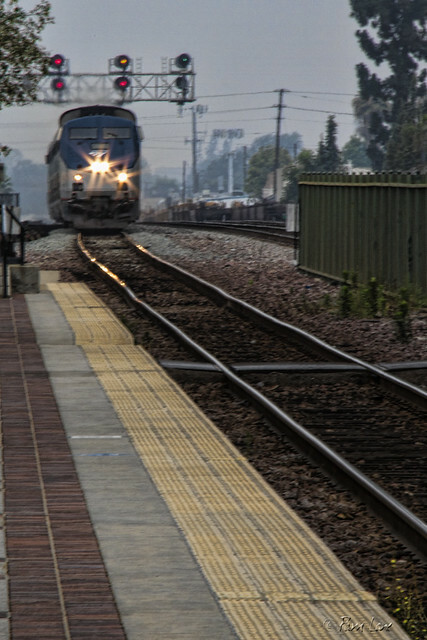 A unique aspect of yesterday's photo field trip to Mission San Juan Capistrano was taking the train. San Juan Capistrano is about 45 miles southeast of Downey—less than an hour's drive on a Saturday. But a group of us thought it might be more interesting to take the train. 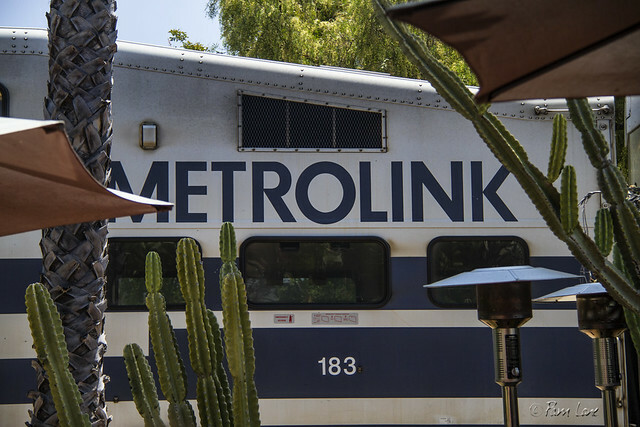 Downey lies between the Los Angeles Union Station and the Fullerton Metrolink Station. Union Station is beautiful, and worth visiting in its own right. 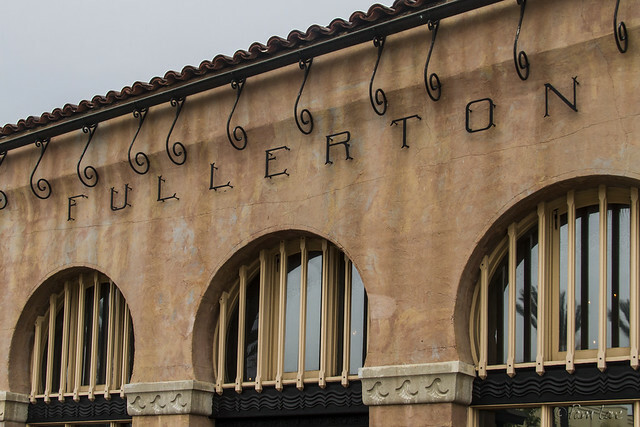 (Click here to see more of Union Station.) But parking is a nightmare and more expensive than the train itself. Parking at the Fullerton station is free, and it turns out that the station is also quite picturesque. At our destination, we disembarked at the historic Los Rios Street Historic District. After spending the morning at the mission, we returned to this area for lunch at a quaint cafe right next to the tracks, where we could wait for our return ride home.